On 24th of October 2018, Leica presented to the world the very new Leica M10-D. The full-frame digital rangefinder camera comes with a screen-free body channeling classic film and digital sensor inside. 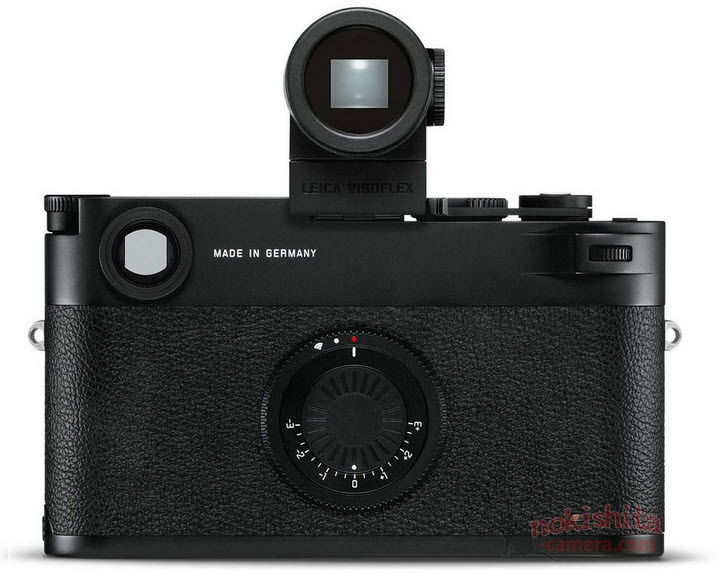 Part of the Leica’s digital rangefinder series, the Leica M10-D resembles a lot with the earlier M10. It comes with 24 megapixel full-frame CMOS sensor with a ISO ranging from 100 to 50,000 and M-mount lenses. What’s to say in a nutshell about Leica cameras? When it comes to Leica, the experience, the craftsmanship and the design are the most important principles to follow. At Leica, art combines with functionality and that is why Leica Camera is one of the top segment manufacturers of cameras. This doesn’t mean Leica doesn’t also create sport optics products. The Leica brand isn’t just a legend in the world of photojournalists, but also an example of how long time tradition and performance never get out of style. How to describe the Leica M10-D in just a couple of words? This camera was designed to highlight, once again, the benefits of digital photography without the perks and distractions of on-screen menus or the constant review of images (no “chimping” whatsoever). Truth be told, the M10-D isn’t Leica’s first trial of digital camera with no screen. The previous M series was in fact thought out as a D model featuring a flat back plate instead of the regular LCD. The Leica M10-D doesn’t come with an LCD screen, giving entire control to the photographers. It comes with Wi-Fi built in so that you can take it to the next level with the Leica Fotos app. The camera features an ergonomic film advance, which is more for ergonomic reasons. It’s not actually hardwired to serve as a mechanical shutter. When it comes to ergonomics, the Leica M10-D stands out with its low profile aesthetic. It only comes in black as we speak. Basically, there are no real markings on the front of the camera. The main controls are placed on the top of the camera. The shutter speed dial, the hot shoe the ISO dial, function button is placed on top and the camera comes with film advance, but only for ergonomic utility. The back of the camera gives you other controls. The camera comes with on/off /Wi-Fi switch. The Leica M10-D is using rangefinder focusing and the view finder works just fine. It has manual focus and you may try to affix an EVF to the hot shoe, in order to get a simulated view of what you’re about to shoot. the image quality of the Leica M10-D comes from the full frame 24MP CMOS sensor, just like in the case of its predecessors. The shadows may be pushed and the highlight rendition is really good. The lenses are another reason for the image quality. When you’re going to attach Leica lenses to the camera, the image quality is going to impress with the sharpness and contrast. And that’s quite something to achieve. the new camera is able to shoot DNG files so that you may port them to your phone. You can also edit the photos, without necessarily using a computer. This way you’re going to obtain plenty of editing possibilities when using the app. This doesn’t mean that you’re not going to be able to use the computer. You may underexpose the scene, pushing it in post. Nevertheless, the highlight rendition and the RAW file’s ability to get the details back are a must in 2018. As long as you’re using the right metering methods, you may be able to get good results. The high ISO output of the Leica M10-D is pretty solid. Practice makes perfect so only time so don’t hesitate to get the best out of it. 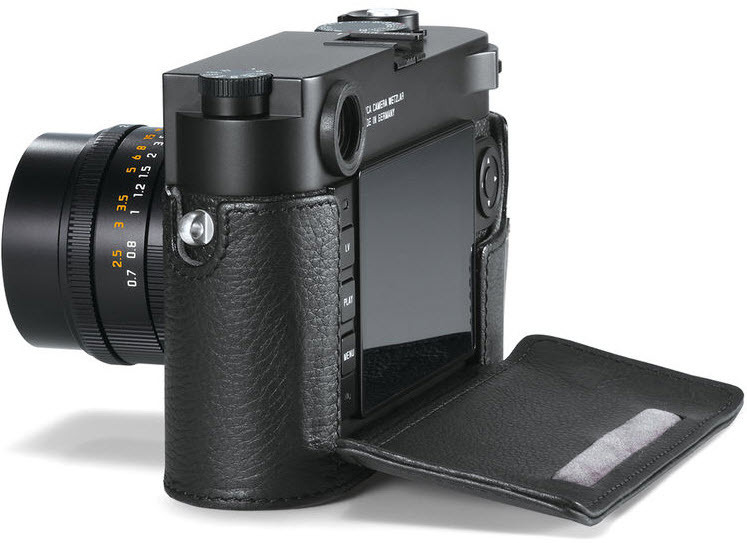 The Leica M10-D comes with weather sealing body. If you take it out for a spin on a light rain shower, it’s still going to shoot. The camera has a good feel in the hand with the film advance on. However, some still fancy the ergonomics of the Leica M4-P a lot better. it’s the hot shoe placement that didn’t allow the best ergonomics. Made of metal, the Leica M10-D has a durability feel to it, even though some think it sits rather on a rugged side. Let’s not forget to mention that the M10-D comes with genuine leather wrap that covers a lot of its body, as opposed to the previous models that used polyurethane wrap (similar to leather, nevertheless). Leica M10-D is going to give you the impression that you’re using both a digital and a film camera at the same time. You may activate it by turning the back dial from off to on- that’s easy. You should turn it once again if you want to activate Wi-Fi. You may operate the ISO on the top dial switch, whereas a button near the shutter is going to inform you how many images you still got left on the card. It also going to keep you posted on the battery life. Long story short, there are not major menus to go through and you simply go right to shooting. As the M10-D is still a digital camera with no film advance, using battery power to tilt the shutter, the level doesn’t do anything. Leica uses it instead as a thumb rest, replacing the optional thumb grips that some users slide into the camera’s hot shoe. You will control some operations (DNG/JPEG) with the help of the Leica Fotos app. Best part? You may lock the white balance to daylight using the app. How does the list of pros and cons look like? At the end of the day, the M10-D doesn’t quite look like a modern digital camera, but rather like a film camera from ages ago. It comes with dials that let you set the shutter speed and ISO and several customizable buttons. The lenses come with aperture and focus ring. However, it’s going to take plenty of experience to notice that the M10-D is in fact recording the images digitally and not exposing a strip of film. Having said that, we think that M10-D is an amazing camera photographer and not quite a video shooter or a camera for the photographer that wants to shoot a video every now and then. If you like to shoot stills, the Leica M10-D is going to be an impressive documentary tool and a quiet companion, altogether.